The days are getting longer and the sun seems to be shining a bit brighter—that’s right, Summer is finally just around the corner! This is the season of long days at the beach, a much-needed reprieve from a long and strenuous school year, and lots of tasty food, especially fresh produce. Whether it be sweet corn or ripe tomatoes, using healthy seasonal veggies can add a healthy flair to your favorite Summer cookout or picnic recipes. 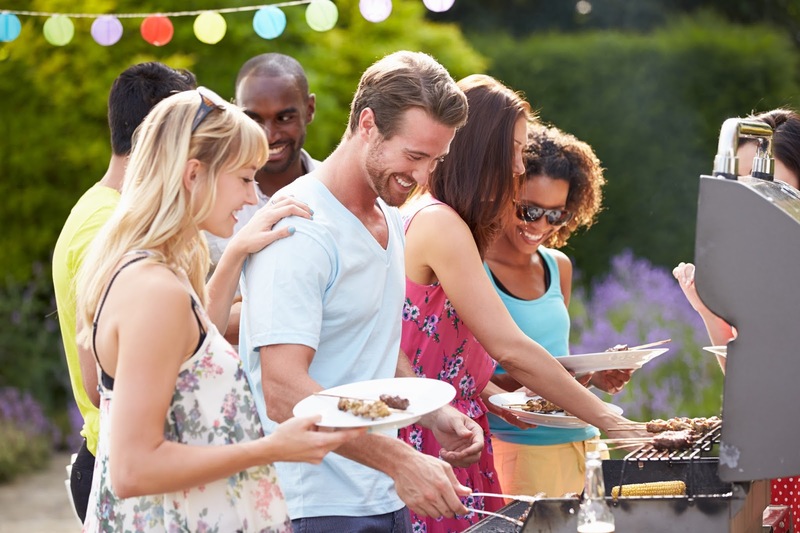 So dust off your grill, break out your favorite shades, and use these five simple and nutritious summer-inspired recipes to create meals that will help make this Summer one to remember! An easy side dish that will please even the most picky eaters are lightly marinated vegetables cooked on the grill. Use your favorite Greek or Italian dressings (or make your own using olive oil, basil, and oregano) to marinate a variety of vegetables such as red peppers, squash, zucchini, or even red onions in minutes and then simply cook them on the grill until completion. After they’re done, garnish the veggies with a touch of feta cheese and/or cilantro and volia!—you have a healthy side that will soon be a staple to any successful dinner. Sometimes, simplicity is best, or in this case, sweetest. That is surely the case with Sweet Corn. Because of its natural sweetness, there are very few ingredients that need to be added to corn to enhance its flavor. Usually, some salt and butter spread evenly will result in an easy and delicious addition to your next dinner. Because of its quick prep and cook time, boiling or steaming corn is a popular choice among many summer cooks. The most important thing to remember when preparing corn is that it loses its natural flavor within every minute after being picked and shucked—So, be sure to minimize the time between cooking and eating as much as possible. A healthy alternative to fries? Yes, please! Zucchini wedges lightly coated in Panko bread crumbs and 20 minutes of bake time is all it takes to transform a popular summer veggie into a unique and delicious finger food. First, preheat your oven to 425 degrees and lightly season your zuchinni wedges with salt. Toss the wedges in flour and whisk 2 eggs with milk in a separate bowl. In a different bowl, mix Panko flakes and parmesan cheese together. Next, dip each floured wedge into egg (letting the excess drip off), and toss into the Panko and Parmesan mixture. Transfer the breaded wedges to a large baking sheet and season with pepper. Simply bake the zucchini fries for 18 to 20 minutes and serve with a marinara dipping sauce! In seconds, you can make a south-of-the-boarder inspired side dish that will add a flavorful punch to a common summer veggie: corn! In a large bowl, toss stripped corn kernels with a half cup of mayonnaise, lime juice, cilantro, chili powder, and a bit of feta cheese until the components are evenly mixed. Season the mixture with salt and BAM! You have a zesty side that will please any foodie! A simple and beautiful way to add some flavor to any summer get together are vegetable kebabs! Use a variety of vegetables like zucchini, cherry tomatoes, wild mushrooms, and green or red peppers and lightly marinate them in Greek or Italian salad dressing. After letting it marinate, arrange the vegetables in any order on a skewer and transfer them to the grill! Within minutes, you will have a fun-to-eat side that pairs well with barbequed meats or classic cheeseburger and hotdogs!